Mixed Signal Test Methods Demystified is a less theoretical, less mathematical, and more applications-oriented approach than other books available on the topic. 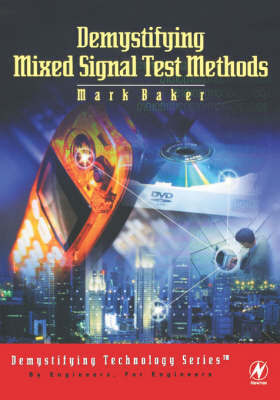 In effect, this book will give readers a "just in time" understanding of the essentials of mixed signal testing techniques. Emphasis will be on commonly used devices and systems (such as PLLs and DSP) that engineers encounter in their daily tasks. Sampling theory is covered in detail, as this is the foundation for understanding all mixed signal testing technique, and readers will have a strong intuitive grasp of this topic after finishing this book. Baker aims to develop an intuitive understanding of mixed signal testing that minimizes the mathematics required and is germane to the sort of testing requirements found in typical engineering situations.